The problem with the reporting of news these days is that rather than being a source of information it is a source of dramatic entertainment. It might be fair to say it has always been this way, but in light of the events in Israel I am finding the media, particularly CNN, guilty of focusing more on the dramatic aspects than on the informational ones. To call the images of crying, injured or dead children entertainment may be cynical, but then again the extent to which it is being done is clearly not for purposes of reporting the story. It is being done to draw in the viewer, and for that the guilty parties need to be ashamed of themselves. The question that needs to be asked is this. What are they accomplishing by doing this? Are they making the world a better place by having people show their support for innocent children? The truthful answer is a resounding NO. The way in which these images are portrayed encourages anger towards Israel and sympathy for Hamas. The intelligent people running the show at CNN know perfectly well that it has this impact on society, but in what is the ultimate in cynicism, they don’t care. The images create attention and boost ratings. The more horrifying or sensational the better. It is not about right and wrong, it is about business and money. So you have Hamas using the women and children not only as human shields but as sacrificial lambs to generate worldwide sympathy for their cause, and CNN and other agencies like it using the children for ratings. The ironic part of all this is that a large portion of the world is putting the blame on the one party involved not using the children at all, Israel. And these news agencies are very much to blame. 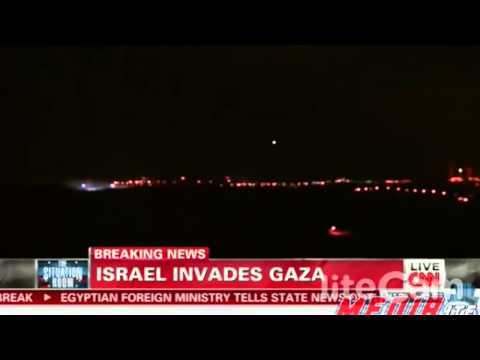 This entry was posted on Wednesday, July 30th, 2014 at 12:40 pm	and tagged with Bring Back our Boys, CNN, Hamas, Israel and posted in Uncategorized. You can follow any responses to this entry through the RSS 2.0 feed.